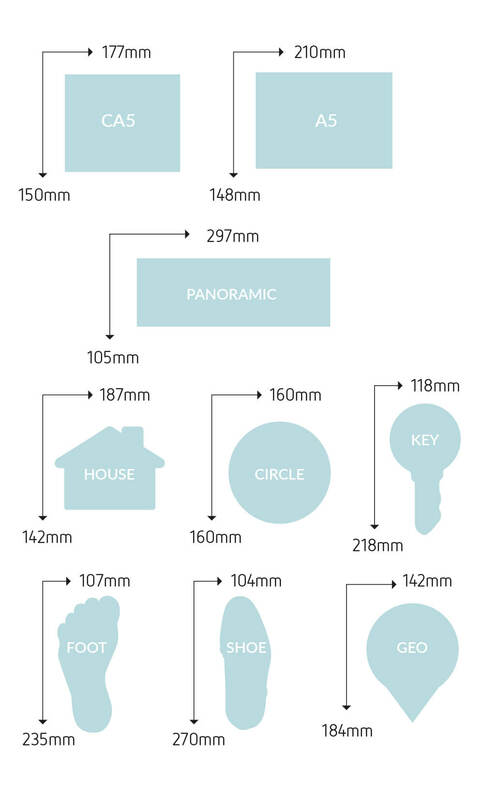 A guide to paper sizes and weights for estate agents marketing materials. One very important consideration that often gets overlooked when deciding on your marketing materials is the size and weight of the paper to be used for the print run. More than likely you will have invested quality time with one of our designers to get your design just right. Together you may have laboured over every element of the design including your body copy, images and the tone of voice that you want your target audience to hear. Despite all this, the quality of the paper used to print your project and its format will often provide the FIRST impression for your customer. Before they even turn the cover page of your company folder or brochure they may make a decision based on the perceived quality of your chosen paper. Before they reach down to the doormat to pick up a pile of leaflets does yours already jump out at them as it is an irregular shaped leaflet compared to the others, ie. panoramic or shaped? Does your company brochure feel just that bit more tactile as it has a nice matt laminated finish to the outer cover and is square in format as opposed to A4, which is the most commonly used format in print? Another consideration is that the weight of the paper will be the main factor in determining the final weight of your brochure and this could impact on the delivery cost of your brochure if you have decided on doing a direct mail campaign. Standard size formats obviously play a major part in print production and help to keep costs down and are therefore often the go-to products to meet the average budget. Standard size products fit in standard envelopes for example, but don’t let that constrain you. Here at Prestige Creative we have already worked out what we consider to be the best combinations of paper weights and sizes, amount of pages and finishes for all of our off the shelf estate agency marketing products and as a result you get high quality products that always give out the right impression, but at very competitive prices. OK, well having said all that let’s take a little step backward and take a look at standard paper sizes in a little more detail. You will undoubtedly be familiar with the aforementioned ‘A4’ paper size. It is the size of the paper your office or home printer uses and it is the size of letters that you send and receive in the post. But what about A5, and A3, and DL for that matter – and what sizes are posters? On the surface of it paper sizes can be a little puzzling with all these seemingly unrelated letters and numbers. Once you become familiar with what the numbers and letters stand for and how they relate to one another you will be relieved to know it all becomes rather simple. Hopefully the below animation will help to demistify standard paper sizes. The base A0 size of paper is defined as having an area of 1m². Successive paper sizes in the series A1, A2, A3, and so forth, are defined by halving the preceding paper size across the larger dimension. This also effectively halves the area of each sheet. By the way – DL is 1/3 of an A4 sheet. (210 x 99 mm). This is the size of standard compliment slips. And posters? Well, we here believe that you need to be looking at at least A3 size and above to qualify as a poster. To drill down deeper into this subject and to explore the lesser known ‘B and ‘C’ series of paper you can find out much more here. Paper weight is measured in grams per square metre or GSM as it is more commonly known. This allows you to understand the weight of paper. In general, the higher the GSM rating the heavier and thicker the paper will be. Weights are easy to calculate as well: a standard A4 sheet made from 80gsm paper weighs 5g (as it is 1⁄16 of an A0 page, measuring 1m²), allowing one to easily compute the weight—and associated postage rate—by counting the number of sheets used. 5 – 55 gsm: This is very thin paper indeed and you will find your daily newspaper will commonly be printed on this paper thickness. 90 – 100 gsm: This is the weight of the copier paper that you will find in your office or home printer. The stuff you might pick up in packs of 500 sheets at the Staples office supplies. 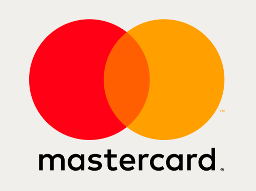 It is also used for your NCR (no carbon required) agency agreements. 110 – 120 gsm: This weight is usually used for stationary for things such as letterheads and compliment slips and also for posters. 130 – 170 gsm: Getting slightly heavier now this weight can be used as internal brochure pages, more durable posters and budget leaflets. 210 – 300 gsm: Moving up to what is now considered to be card stock. At the higher end of this scale, when an A5 leaflet is held horizontally between a couple of fingers you will get a slight bend in this paper. Magazines in newsagents will have covers made from this weight of paper stock. 300gsm is Prestige Creative’s preferred weight for quality, professional leaflets. 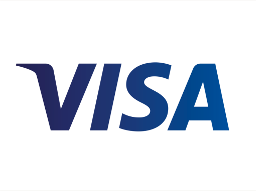 350 – 400 gsm: This definitely is card and will stand up under its own weight. Premium quality leaflets and magazine covers will be printed on this weight. Business cards also are printed on this stock. Prestige Creative use 450gsm as standard for our business cards and we also include a ‘soft touch laminate’ to both sides as well – but more about finishes later. We also offer a super heavyweight 600gsm business card as well! Our standard folders are also printed on 400gsm card and include matt or gloss laminate to the outer cover. We have a broad range of leaflets for estate agents and lettings agents, comprising standard rectangular shaped leaflets, wide format, eye-catching panoramic shaped leaflets and die-cut shaped leaflets consisting of house-shaped, circular and geomarker, key-shaped, foot and shoe-shaped leaflets. 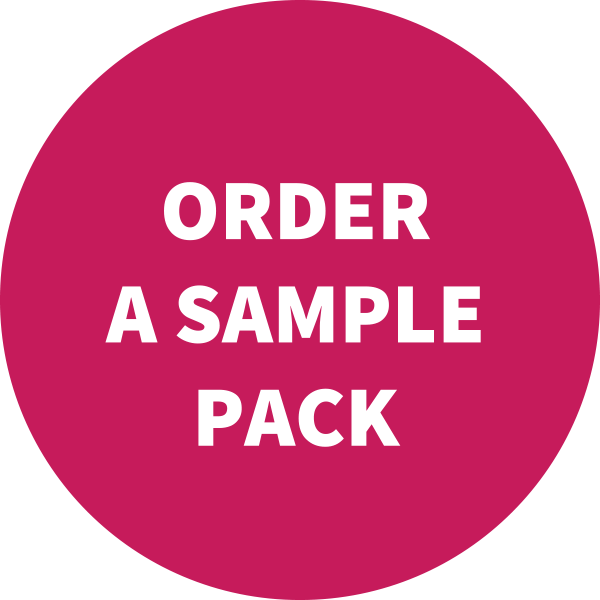 All these leaflets are printed on a quality 300gsm, satin finish card as standard, providing a quality, professional finish. Other paper weights are available on the standard rectangular leaflets but we would only really recommend going thicker if anything. Remember, customers like to use their senses when deciding on purchases and their sense of touch can often influence their decision. Make sure when your potential client holds your leaflet that they aren’t let down by the type and weight of paper that you decided to go with. In our range of estate agents folders we have a 4 page 'Standard' folder, a 4 page 'Budget' folder, and two 6 page, wide format versions – one of which has a 5mm capacity flap with business card slots in it. Our standard folders are printed on a thick 400gsm silk card and are available with a choice of finishes including, Matt or Gloss lamination and Spot UV varnish comes as an extra finish. These are quality folders that have a robust feel to them, that can easily handle a decent amount of documents. The one that we refer to as the 'Budget' folder, is just that, budget. It is printed on 280gsm stock and to be perfectly honest it is quite flimsy. Again, it's important to think of how your potential client will perceive the quality of your company and service when presented with a floppy folder! Our templated estate agency agreements for sales is a 2 part NCR set, A3 (297 x 420 mm) in size and printed both sides on 80gsm paper. They duplicate on one side and are designed to fold into a convenient 4 page A4 (210 x 297 mm). Our lettings agency agreement is larger, with a flat size of 630 x 297mm, is a 2 part NCR set and printed both sides on 80gsm paper. They duplicate on one side and are designed to fold into a convenient 6 page A4 (210 x 297 mm). We can design and print your company stationery, letterheads – compatible with your office laser printer, and also your compliments slips and property detail sheets. All printed on quality 120gsm uncoated paper, the letterheads are A4 (210 x 297 mm), the property detail sheets are A3 (297 x 420 mm) and the compliment slips are DL (210 x 99 mm). We produce two variations of the selling guide, an eight page and a sixteen page version. The eight pager is a standard A4 in size (210 x 99 mm) and the cover is 350gsm silk with matt or gloss laminate to the outside, and the inner pages are 280gsm. The sixteen pager has a more bespoke feel to it, with a custom size of 200 x 240mm, it is almost square and sits nicely in the hands. 250gsm silk cover with a matt or gloss laminate finish and 12 internal pages on 170gsm silk. For an added touch of quality and protection you may like to apply a laminate finish to your printed goods. This encapsulation process adds a polycarbonate material to the job that is tough and splash-proof, but smooth to the touch. Matt laminate adds a lovely, soft lustre to the finished job, feels lovely in the hands and exudes an air of quality and consideration. A matt laminate finish can look particularly nice with a selective use of spot ultraviolet gloss varnish on top. Matt or gloss laminate is available depending on your preference. 'Soft Touch' matt laminate takes the quality to another level! With an even smoother and velvety-soft feel it is growing in popularity due to its unique ability to appeal to your sense of touch. In our experience of using this finish on business cards and folder covers, this smooth-suede finish definitely gets noticed and almost always elicits an inquisitive response to its unique and unexpected feel. 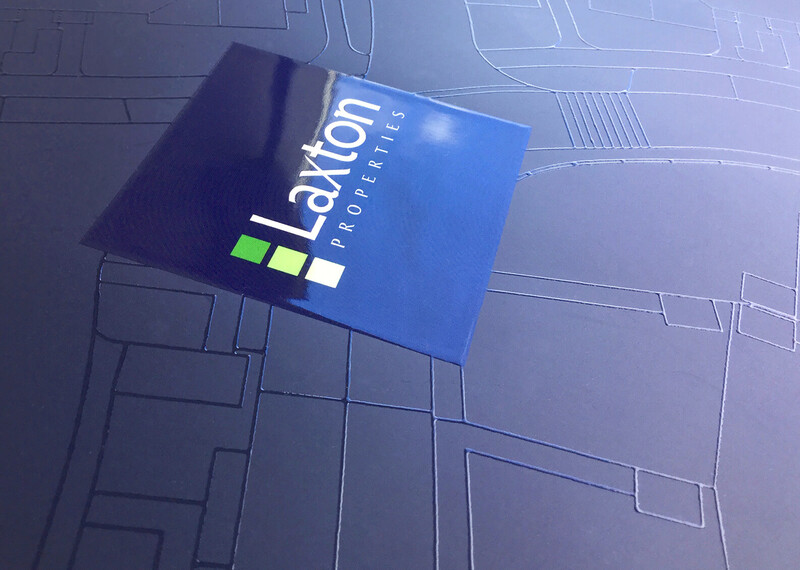 As standard, and included in the price, we add a laminate finish to our products such as folders, sales and lettings guides and our business cards come complete with 'soft touch' laminate. If you would like to discuss the paper type to use with your next print project or any of these points further then please call us on 01234 290442.